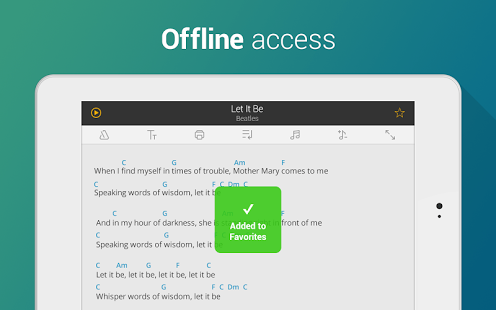 Ultimate Guitar Tabs & Chords v4.0.9 – Ultimate Guitar Tabs & Chords is a mobile version of the world’s largest catalog of guitar tabs and chords with lyrics, available even offline. Learn how to play your favorite songs on acoustic, electric or bass guitar. 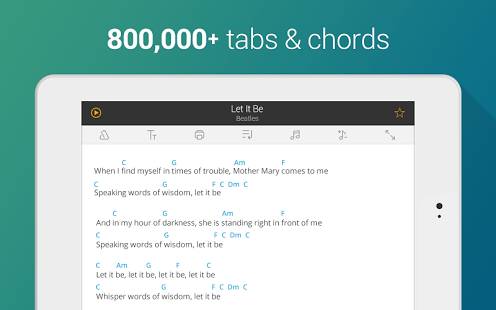 Get over 800,000 carefully transcribed tablatures and free daily updates with guitar scores for recent hit songs! A must-have app for guitarist of any skill and level, Ultimate Guitar Tabs has earned praise from both beginners and advanced players for its versatility, ease-of-use and countless guitarist–friendly features.